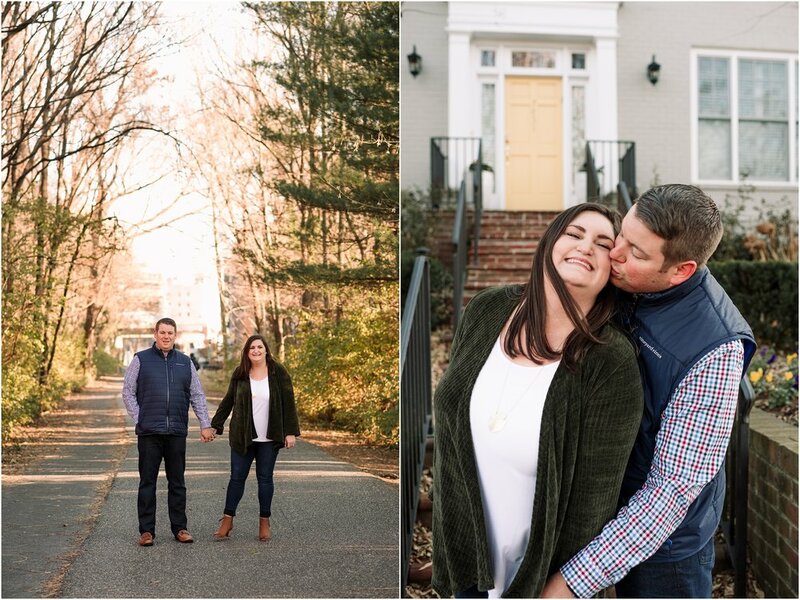 I had so much fun photographing Jon and Brittany in downtown Bethesda, MD! All the Christmas decorations were up, which made it such a festive shoot. 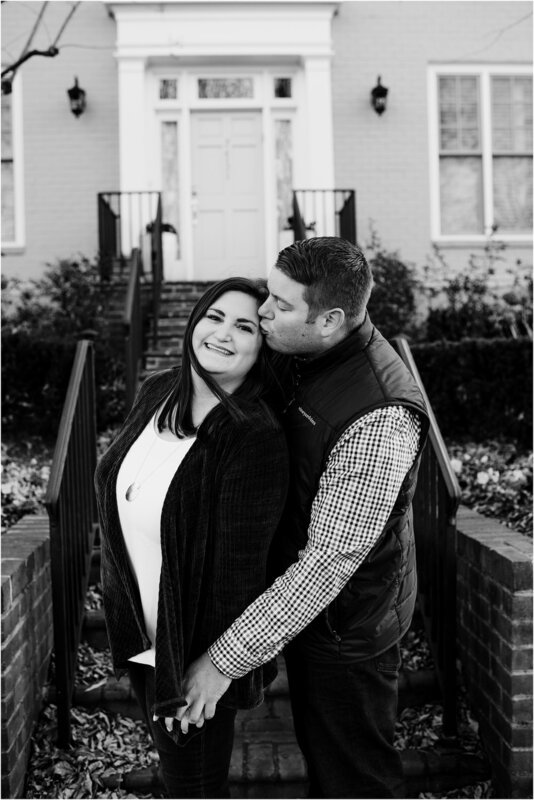 They are getting married next December, so it was perfect! When I met them at their apartment before sunrise, Brittany came right over and gave me the biggest hug. Smiling EAR TO EAR, this chick has the best energy ever. It immediately made my day. Isn't it amazing how some people's energy is just contagious? Like you can't be in a weird mood around them because they are just so dang happy and joyful?! That's these two.